A low-cost RFID/NFC inlay embedded into food packaging can be used not only for coupons and recipes, it can also be used to give consumers information about food storage, cooking and safety. 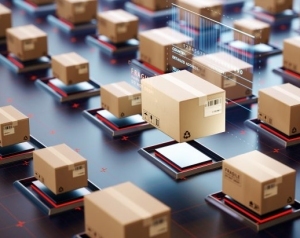 April 2, 2019 - With the global market for anti-counterfeit packaging growing to $9.4bn by 2023, ensuring your customers are buying the real thing is big business. So how can packaging fight the war against fake goods? The online retail world may be booming across the globe, but it currently faces a problem that's causing it to lose billions of dollars every year. Whether it's clothes, bags, watches, jewelry, perfume or food, the internet is rife with sites selling counterfeit goods. Last year, over 31,000 UK sites were closed down by the City of London police's intellectual property crime unit in just one month. As well as a guarantee of authenticity, RFID gives a business the ability to track and trace every individual product, as well as provide another marketing platform to reach out to customers. With RFID technology starting to incorporate Near-Field Communication (NFC), as well as the well-established UHF frequency, customers can now use the packaging to connect to the brand's website just by tapping their smartphone on the label. As well as general information about the product, you could also access information about the individual product in your hand, such as its expiry date. It could even help combat food and packaging waste. Sam Upton is Founder and Editorial Director of Soul Content.